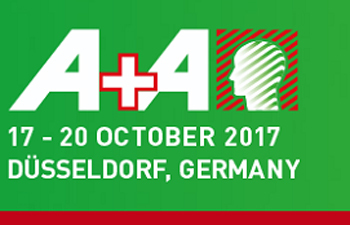 A+A is the world’s largest and most important specialist trade fair for all aspects of safety, security and health at work. The prestigious trade show will run from 17-20 October 2017 in Düsseldorf in Germany. Pulsar Instruments Plc will be presenting their range of industrial noise measurement products including their PTB approved Nova sound level meter, their personal noise dosemeters and noise-activated warning systems. All instruments available from Pulsar are designed to help employers safeguard their workers’ hearing by monitoring noise levels accurately and capture essential data to avoid costly civil compensation claims for noise-induced hearing loss. Representatives for the company will be unveiling also their latest noise-activated warning sign, Pulsar SafeEar MAX. The innovative noise monitoring concept was developed for construction giant Costain in the UK to alert operatives of the dangers of harmful noise levels across large and complex construction development sites. The super large sign is now used across the construction, demolition and manufacturing industries. Pulsar has a strong presence in Europe in countries such as France, Italy and Germany and being represented in shows such as A+A in Düsseldorf will secure further commercial opportunities as well as promoting the Pulsar brand to an audience of safety professionals. Representatives from Driesen+Kern GmbH are looking forward to meeting health and safety professionals from Germany and other visiting countries and to providing them with valuable advice on how to reduce risk from exposure to noise at work with the right monitoring equipment. Visitors interested in finding out more about the noise measurement products available from Pulsar Instruments and their industrial applications should visit Hall 7a – Stand D02. For all enquiries, simply visit our website and fill in a form via our contact tab. We will aim to reply within 24 hours.